Texas has two forms of post-conviction relief (expungement) laws on its books. These laws are directly helping some people and indirectly helping all of Texas. Lawmakers should expand these laws to include more people who could be directly helped. Doing so would help all of Texas. The state of Texas provides two ways for individuals with a criminal record to wipe the slate clean. A person with a criminal record can expunge their record, erase it completely, or receive an Order of Non-Disclosure, which seals the record from public view. Not everyone with a criminal record is eligible for expunction or an Order of Non-Disclosure. It is best to talk to an attorney to see if someone is eligible for expunction or an Order of Nondisclosure, however, if the case was dismissed or a deferred adjudication (alternative sentence) was completed for a class C misdemeanor, a person could be eligible. Because the laws in Texas are so narrow, individuals who are convicted of a crime, even lowest level misdemeanors, are stuck with a criminal record for the rest of their life. These records are easy to find via court websites, or the Texas Department of Public Safety’s website, making it hard for these individuals to obtain employment and housing. However, if the state of Texas were to expand these laws and allow more individuals to expunge their criminal records, there would be many benefits. Having a criminal record follows you around for life and often results in unfair discrimination. By being able to expunge the record, individuals would be able to undergo background checks without fear that their prior criminal record will affect how they are viewed. Individuals with a criminal record have a difficult time finding gainful employment. Many employers see the criminal record and will refuse to give the individual, even though he is highly qualified, a job regardless of the contents of the record. Expanding the expunction laws would allow these qualified workers to find jobs to support themselves and their families without having to rely on the government for assistance. For individuals with a criminal record of any kind, it is difficult to find housing. Just like employers, landlords disqualify those with a criminal record regardless of the contents of the record. By expanding the expunction laws, those individuals who are able to expunge their criminal record will be able to find housing for their families in better neighborhoods. When someone has a criminal record and faces unfair discrimination, can’t get a job, and can’t get adequate housing, they are overwhelmed by hopelessness. This can result in committing future criminal acts. By expanding the expunction laws, those individuals who have their records expunged will not have to face discrimination, they will be able to find jobs and housing, they will be able to live successfully in the world. As a result, these individuals are less likely to engage in future criminal activities. 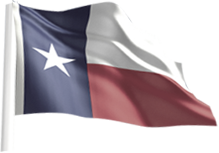 There are many benefits to expanding the expunction laws in Texas. Individuals who can get their records expunged would face less discrimination, be able to find better jobs and housing, and be much less likely to commit crimes in the future.